I’m thankful for today’s snow day and the break from everyday life. That and a few days of sketching figures gave me the push to finally finish this beach scene with the three girls playing in the surf. I’ve been afraid to finish this one – afraid of ruining it. As I sat down to work on it, I thought, “Done is better than unfinished, no matter what the result.” And the more I work on painting figures, and getting the shadows right, the more I’ll learn. I use watercolor pencils to draw the figures. Just wet the lines and it disappears! This post contains affiliate links to products I use and recommend. 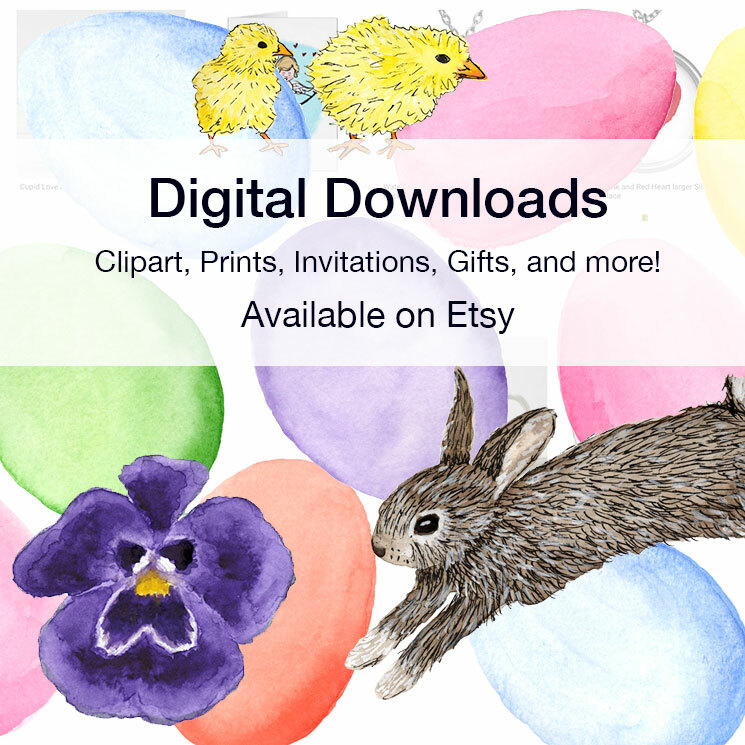 I earn a small commission, at no extra cost to you, whenever you buy using these links. Thank you for supporting my blog! 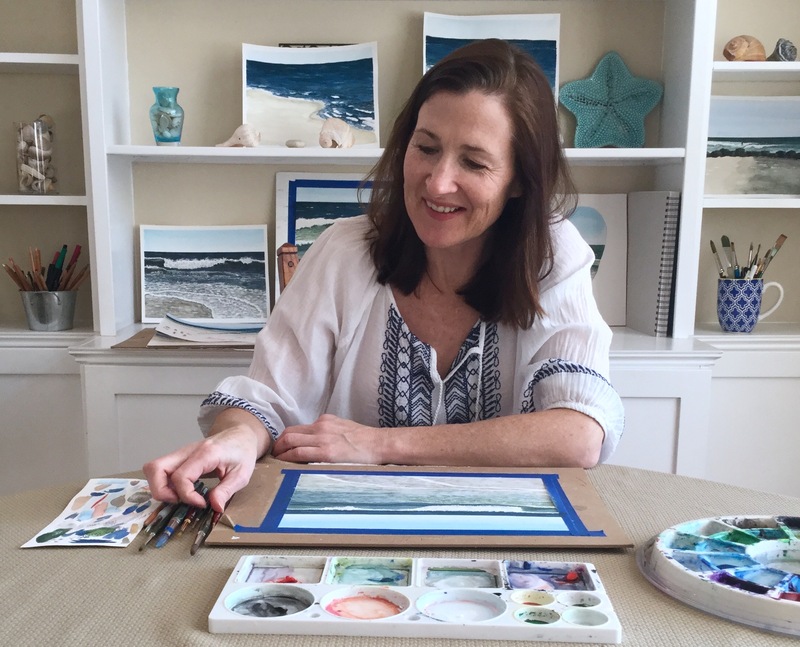 Categories: Figure Drawing, painting the beach, Watercolor | Tags: 100 day project, 100dayproject, beach painting, Oneweek100people2017, painting figures, painting the beach | Permalink. I’m not necessarily committing to 100 drawings – but so far I’ve done 18. When I saw “One Week 100 People 2017” I “figured” I could use the practice. Categories: Figure Drawing, Inspiration | Tags: figure drawing, Figure sketches, Oneweek100people2017, sketchbook | Permalink. There is inspiration everywhere you look at the beach – the sand, sea, and sky. Lately I’ve been noticing the endless supply of figures – in all shapes and sizes. Occasionally I’ll pull out a small sketchbook, but usually I take photos to draw later. The female lifeguard caught my eye, because that was me 30 years ago! I’m trying to work fast and loose. This is the type of painting that paralyzes me. Afraid to ruin it, I take forever, and if I finish, it looks stiff and lifeless. So, my goal is to push through and finish today whatever the result. Categories: Figure Drawing, Watercolor | Tags: beach, Drawing figures, figure drawing, lifeguard, lifeguard painting, painting the beach, watercolor, worldwatercolorgroup | Permalink. 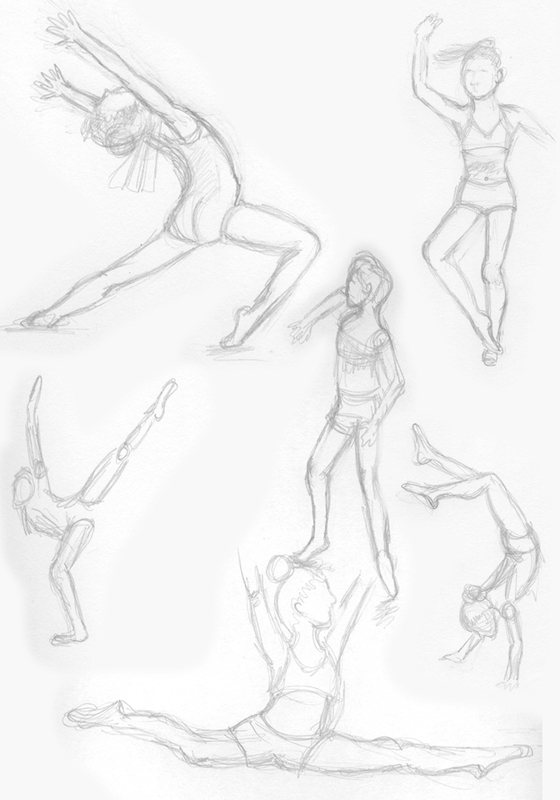 As I watched a dance show, I paused the TV and sketched the dancers in interesting poses. It was great figure drawing practice! Categories: Figure Drawing, Sketch | Tags: Art, dance, dancers, draw, Drawing, figure, figure drawing, illustration, Sketch, sketchbook | Permalink. Categories: Figure Drawing | Tags: art projects, beach, draw, Drawing, figure, figure drawing, Sketch | Permalink. I know, you’re probably laughing at my picture right now, but I thought sketching the inside of the body would be a helpful exercise. 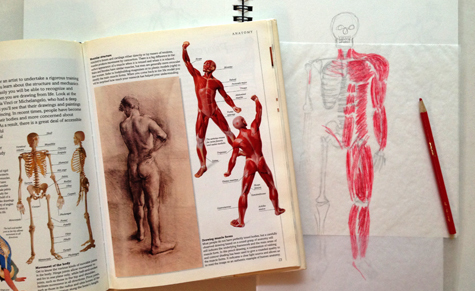 I started with a skeleton sketch, then laid tracing paper over it and sketched in some of the muscles. I’m hoping this will help me next time I sketch a figure. Currently, I’m using a book I found at the library, “Drawing Figures,” by Ray Smith. But I’m looking for others. If anyone has any recommendations on books or videos – that would be great! 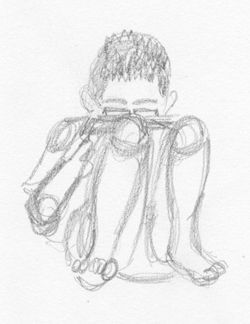 I’ve done a couple of sketches of the kids this past week. 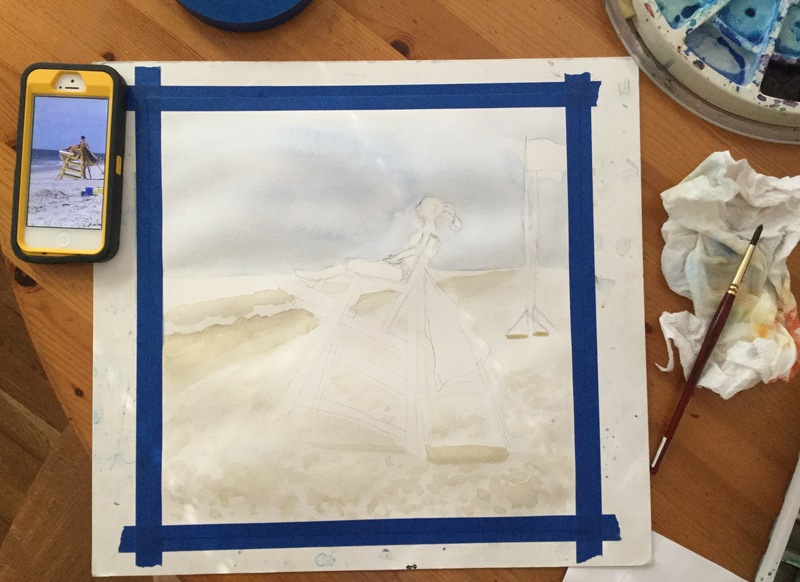 I’m already excited about my progress on my summer project (figure drawing)! To give credit where credit is due – Here is a link to a post on “A Thing Created,” which talks about understanding the skull underneath the face for portrait drawings. Thank you Erisha! Categories: Figure Drawing, Sketch | Tags: Drawing, figure, figure drawing | Permalink. With this in my mind, I went paper shopping and took my time looking at all the art products in the store. As soon as I saw the figure drawing books, I knew how I was going to stay motivated this summer. I needed a summer project and it was going to be figure drawing. 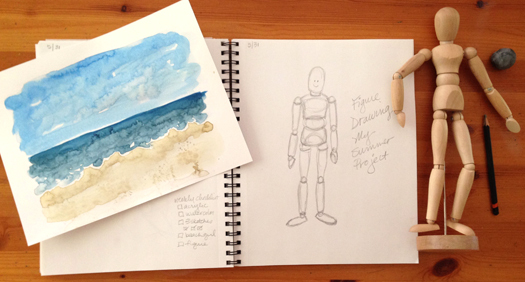 When I got home I took the wooden figure from my daughter’s room and started my first sketch. Later on, I took out a book from the library to help me with my project. My weekly checklist is getting longer and longer by the minute! lol. 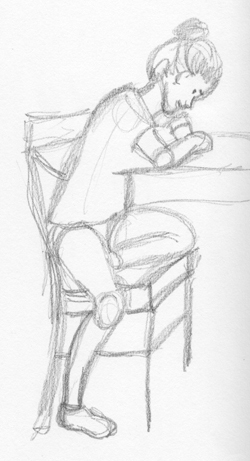 But I’m excited to see how I can progress in figure drawing if I can keep at it over the next 13 weeks. I’ll keep you posted! Categories: Figure Drawing, Sketch | Tags: Drawing, figure, figure drawing, people, sketching | Permalink.